An age-related macular degeneration (AMD) diagnosis sometimes comes as a surprise to patients. This is because the signs of this disorder often appear only at an advanced stage. Our Austin optometrist advises that regular exams at our Austin Vision Center are essential for AMD patients and those deemed at risk for this condition. As baby boomers age, mention of macular degeneration is increasing. It is the top cause of severe vision loss among those past 50. The number of Americans with this condition could reach 1.8 million. AMD develops as the result of changes in the macula, a small section of the central portion of the retina. This unpreventable condition progressively robs patients of their central vision but leaves peripheral vision intact. Once a central vision loss occurs, it is impossible to reverse it. Individuals lose the ability to see fine details or clearly perceive colors. Our eye doctor describes two forms of AMD: dry and wet. While wet AMD always progresses from the dry form, not all dry AMD patients develop the wet type. Researchers have no found a specific cause of AMD. With the dry type, cells in the macula lack the ability to get rid of ocular waste. In wet AMD patients, rods and cones break down because undesirable blood vessels form under the macula. Macular degeneration diagnosis requires a comprehensive vision exam. For some dry AMD patients, dietary changes and use of nutritional supplements slow vision loss. With an early diagnosis, laser treatment can minimize wet AMD vision loss. Other therapies include injecting medication into the eye and laser activation of medication previously injected into the patient’s bloodstream. The best AMD outcome occurs after early diagnosis and continued monitoring by our Austin optometrist. 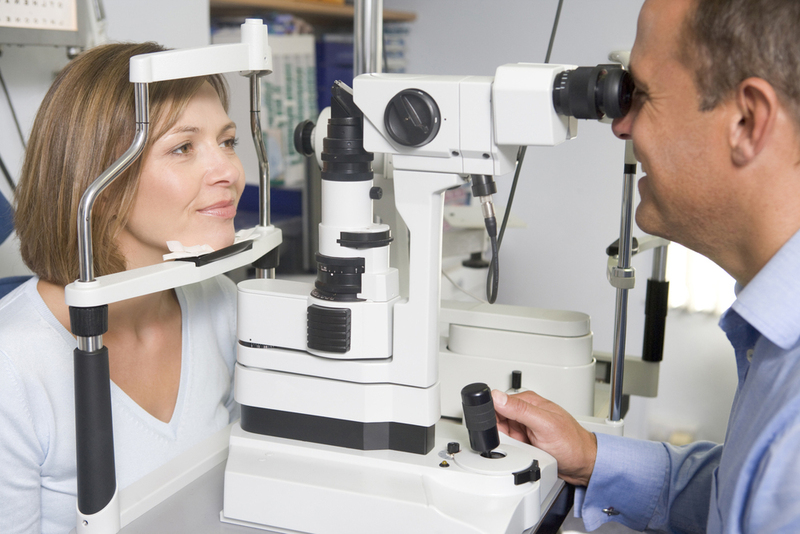 Comprehensive eye exams on a regular basis are important for diagnosing this condition. Be sure to call our Austin Vision Center today to schedule your next exam at the location convenient for you: Central at 512-477-2282 or West at 512-258-2282.